Speaking of McDonald’s, George Parker posted a great photo on AdHurl yesterday of two people in Big Mac costumes. 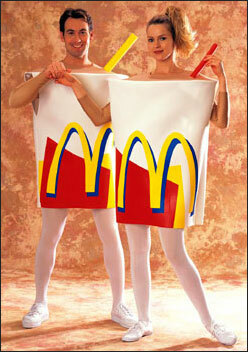 Here’s a companion photo: the McDonald’s milkshake outfit. Something to keep in mind for the fall.